Today for lunch I had dumpling soup. Each day our cafeteria has a grill special, a main special, a vegetarian special (which is often a non-meat version of the main special) and a soup. Plus there are other grill items, a salad bar and sandwiches if you don’t want the specials. My Monday morning routine at work is to pick up the menu for the week and decide what I will have each day, or perhaps decide which days I will go out to eat. Hmm, I am already side tracked on what my post was going to be about. I was simply going to share a few images that are running through my head because I am thinking about the dumpling soup I had in the cafeteria. 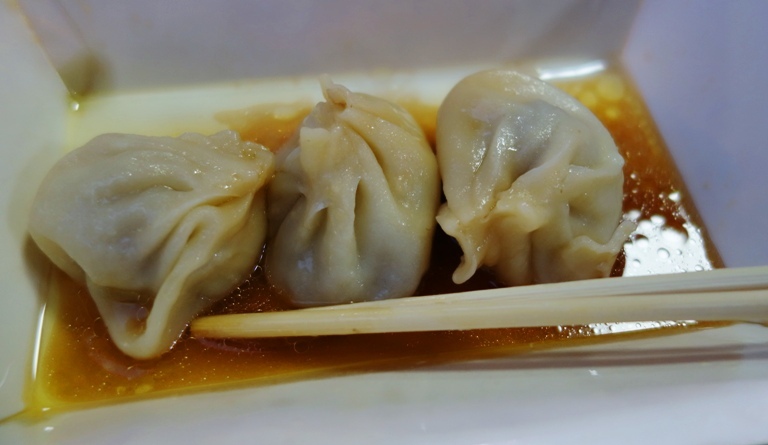 Of course I am thinking about the wonderful Shanghai Dumplings that I usually have when I visit there. There is a restaurant near my office that has Shanghai Dumplings on their menu. They are good, but not the same. 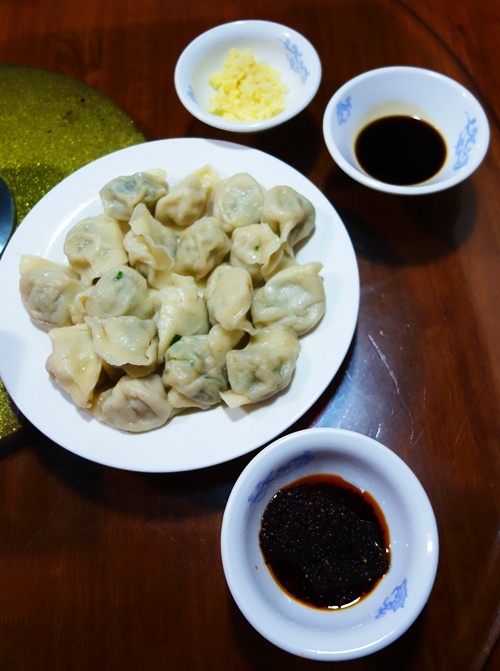 Chinese style dumplings are nice comfort food. Especially if you have the right sauce to dip them in. 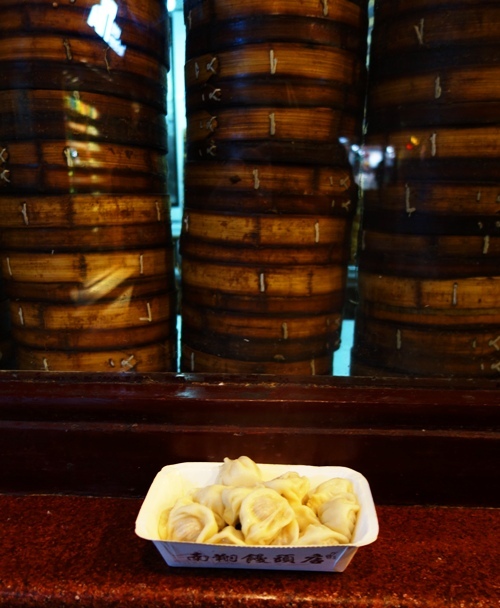 It is really nice to get a tray of freshly steamed dumplings. They taste so wonderful. 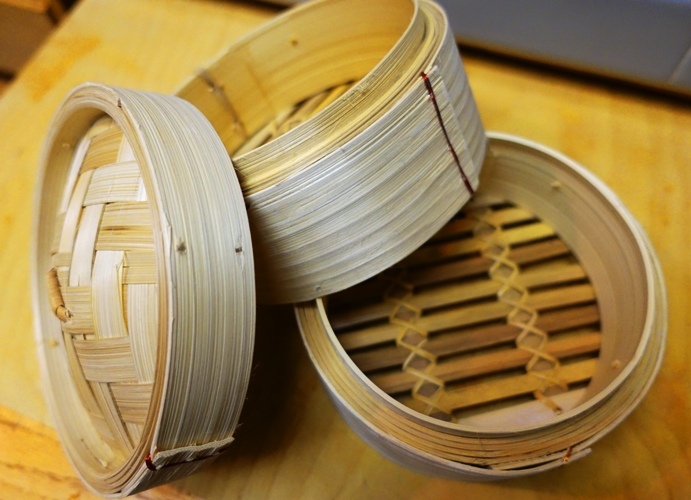 I have a bamboo steamer that I have used a few times to steam dumplings that I have bought at Ranch Market. Now I may just have to stop on my way home from work next week to pick some up. Now for a bedtime snack as I am hungry. 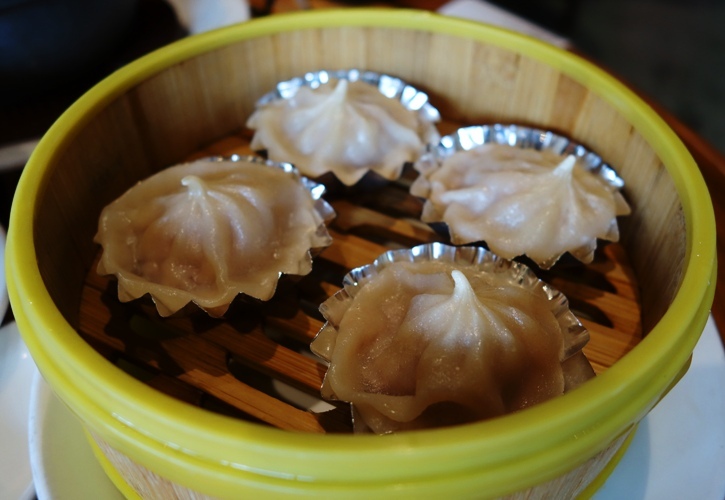 This entry was posted in California, China, Food, Memories and tagged bamboo steamer, dumpling soup, Dumplings, Lunch, Pork Dumplings, Shanghai Dumplings. Bookmark the permalink.